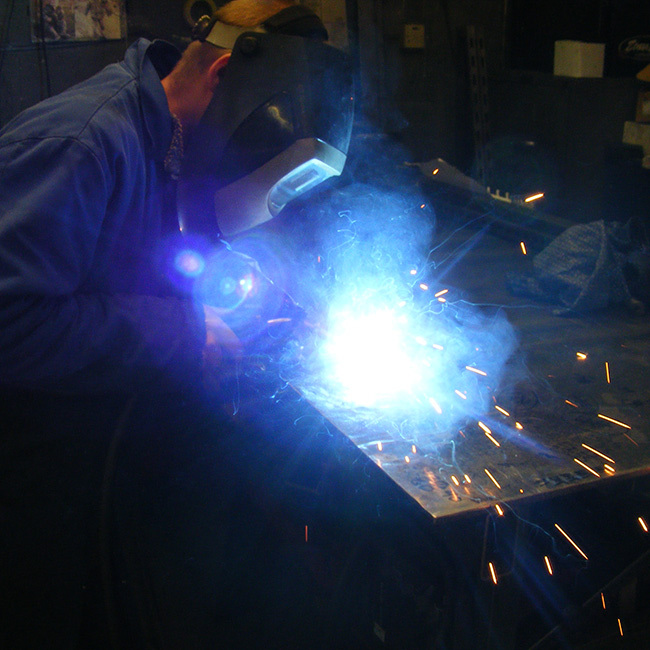 Welding is a skill and we employ the very best craftsmen to ensure the highest quality with the utmost consistency. This is vitally important if you want products that combine the maximum strength and durability with a first class appearance. Our experts create strong, high integrity welds using TIG, MIG and spot welding. This results in welds that are neat, visually discreet and, once painted, often invisible to the naked eye. TIG welding – ‘Tungsten inert gas’ welding uses a tungsten electrode to generate an electric arc that heats the metal to be joined. The weld is protected from oxidization and contaminants by an inert gas, normally Argon. Our skilled welders achieve exceptionally smooth finishes and the high strength required for longevity with TIG welding. TIG welds are neater and smoother than MIG, but evidence of the weld is always visible at the join. We use TIG welding for both mild steel and stainless steel products. Spot Welding – Dymond Engineering also offers spot weld sheet and wire work. This is a quick way to join long lengths of sheet together with an unobtrusive mark. In spot welding, the two metal pieces to be joined are clamped with a pair of copper electrodes either side of the metal. When in position, the electrodes are forced together and the joint between the two pieces of metal is the point of highest resistance to the current flowing through the two electrodes and the metalwork. This resistance causes localised melting of the metal between the joint, which, along with the pressure forcing the joint together, creates the weld. The whole process takes under a second. Dymond Engineering uses spot welding for wire work. MIG welding – ‘Metal inert gas’ welding uses an electrode to create an arc of intense heat which causes a significant amount of the metal to melt and run together. When melted, further material is added to the weld, flowing into the molten metal. MIG welding produces stronger welds than TIG. It is easier and quicker to achieve consistent welds, so the cost is lower than for TIG welding. 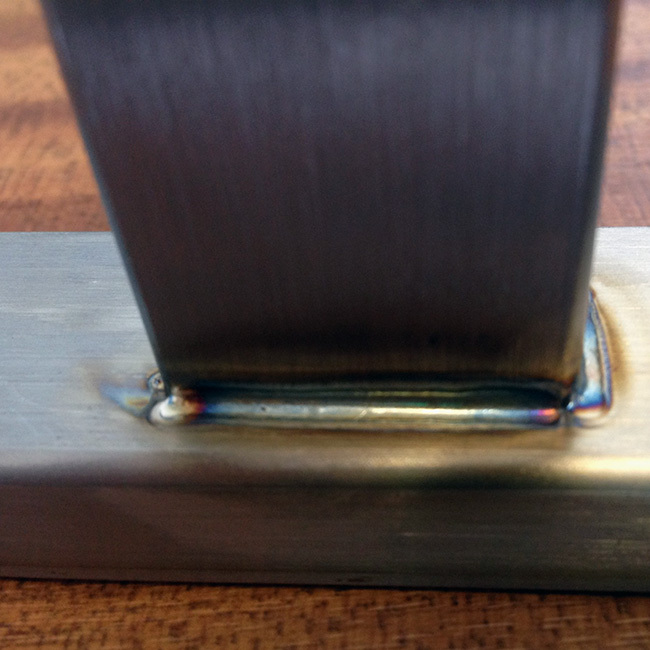 MIG welds are ground down to give the appearance of a flat, invisible join, producing a fine finish. MIG welding is used for both mild steel and stainless steel.